The “reasonable certainty” standard often poses a particular problem for medical experts, since medical science is far from certain. While some have criticized medical decision-making as “fraught with inherent subjectivity,” a more charitable view is that medical opinions are based on knowledge, and that medical knowledge is constantly evolving. The National Commission on Forensic Science has urged courts to abandon the “reasonable certainty” requirement because it is meaningless, misleading, and contrary to a reality-based view of how scientists form opinions. The Commission instead urges courts to regard expert opinion testimony as admissible if it is reasonable and based on evidence — a view that is consistent with, and arguably a simplified formulation of, the Daubert standard. A recent decision of the Superior Court of Pennsylvania illustrates the difficulty confronting medical experts who are asked to state opinions to a reasonable degree of certainty. The appellate court affirmed the dismissal of a medical malpractice claim because the expert candidly admitted that while his evidence-based opinion represented the most reasonable explanation for the plaintiff’s injury, he could not be certain of his conclusion. Richard Nilles sued Dr. Kenneth Hu for medical malpractice in Butler County, Pennsylvania. Nilles alleged that Dr. Hu positioned him incorrectly while performing a needle biopsy of his prostate. 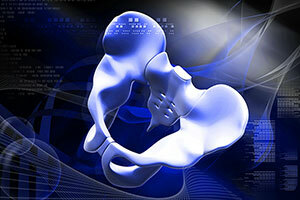 He attributed Dr. Hu’s alleged negligence to the development of osteitis pubis, a deterioration of the pubic bone. Pennsylvania law requires a medical malpractice patient to offer a medical expert’s testimony to prove the standard of care the physician should have provided, the physician’s breach of that standard, and the injury caused by that breach. Nilles attempted to prove Hu’s negligence through the testimony of Dr. M.S. Brodherson. On cross-examination, Dr. Brodherson conceded that osteitis pubis can be caused by a fall or trauma. Other evidence established that Nilles fell and fractured his spine about six months before the needle biopsy. Dr. Brodherson nevertheless ruled out the fall as a cause of osteritis pubis because (1) a spinal fracture caused by a fall on the back is unlikely to affect the pubic bone or to cause osteitis pubis, (2) there was no medical evidence showing that osteitis pubis affected Nilles before the needle biopsy, and (3) Nilles had no complaint of pubic bone pain until after the needle biopsy. Although the testimony noted above seems to support Nilles’ malpractice case, Nilles’ proof became problematic when Dr. Brodherson testified that his opinion that Nilles’ osteitis pubis was based on the needle biopsy was a “theory.” He also acknowledged that he was unable to testify to a reasonable degree of certainty that his theory was correct. The trial court dismissed Nilles’ case without submitting it to the jury. The appellate court agreed with the trial court that Dr. Brodherson’s use of equivocal terms during his testimony, including “could,” “conceivably,” and “possibly,” and his admission that he did not hold his opinion to a reasonable degree of medical certainty, left the jury to speculate whether Dr. Hu’s actions caused Nilles’ injury. The term “medical certainty” is misleading if certainty is stressed to mean absolute certainty or metaphysical certainty. Medicine is not based upon such certitude but rather upon the empirical knowledge and experience in the area of cause and effect. The term “medical probability” more accurately expresses the standard. Both the “reasonable certainty” standard and the “reasonable probability” standard reject opinions that are based on speculation or conjecture. Testimony that a theory of causation is “possibly” true is not admissible. However, testimony that expresses a belief that a theory is likely true is sufficient in states like Wisconsin. That standard makes sense, given that a jury is allowed to find negligence when a jury finds it to be more likely than not that a doctor caused injury by breaching a standard of care. While Dr. Brodherson may have used terms like “possibly” and “conceivably,” those terms should not be taken out of context. The testimony quoted in the appellate decision makes clear that Dr. Brodherson identified the biopsy as the most likely cause of Nilles’ osteitis pubis. He testified that the biopsy needle “more likely than not” passed through the prostate, that the needle passing through the prostate was the “only reasonable hypothesis” that explained Nilles’ condition, and that there was “no other reason” Nilles would have contracted the disease. If Dr. Broderson arguably undermined his opinion by also using the words “possibly” or “conceivably,” arguable inconsistencies in testimony are usually left to a jury to sort out. Pennsylvania’s rigid adherence to a “reasonable certainty” standard for expert opinions deprived Nilles of a jury’s evaluation of Dr. Brodherson’s testimony. States that have a more realistic view of expert opinions would probably have allowed a jury to decide whether Dr. Brodherson’s testimony established that Nilles was a victim of malpractice.